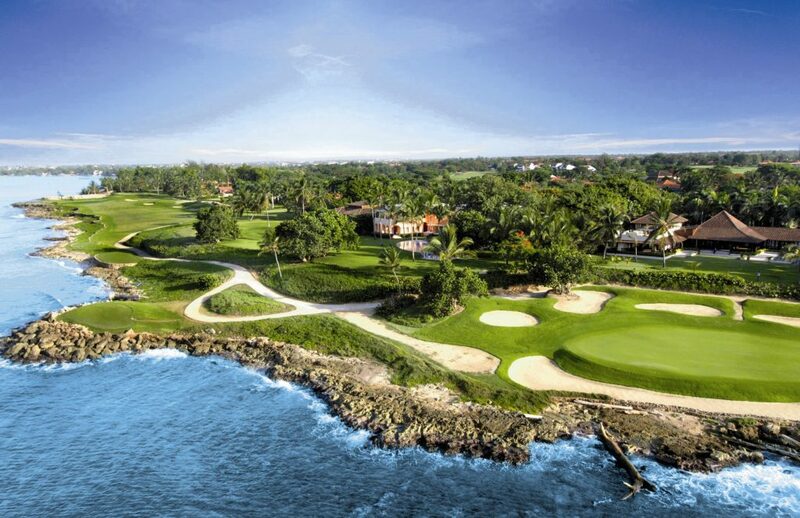 Home to five Pete Dye designed golf courses including the famous Teeth of the Dog with seven holes that skirt the Caribbean Sea, Casa de Campo in the Dominican Republic is a golfers paradise. 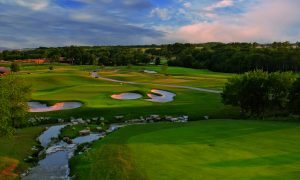 The chance to play on the Teeth of the Dog is a golfers dream come true. On Friday March 22, four golfers will win that dream. 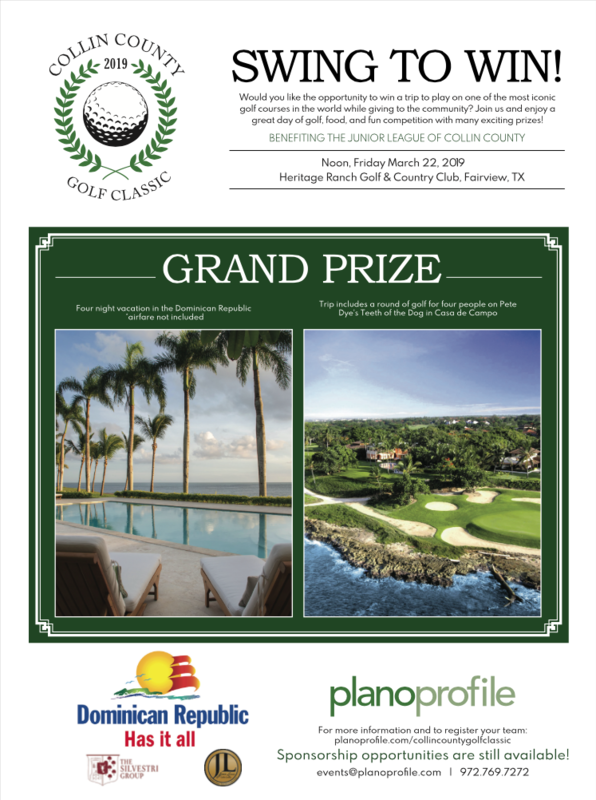 A vacation in the Dominican Republic and a round of golf on Pete Dye’s Teeth of the Dog at Casa de Campo is the grand prize of the Collin County Golf Classic, an annual golf tournament presented by Plano Profile magazine. 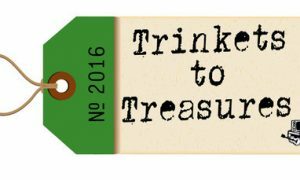 Spaces on the tournament are limited so for your chance to swing it and win it, click here to sign up your team now. 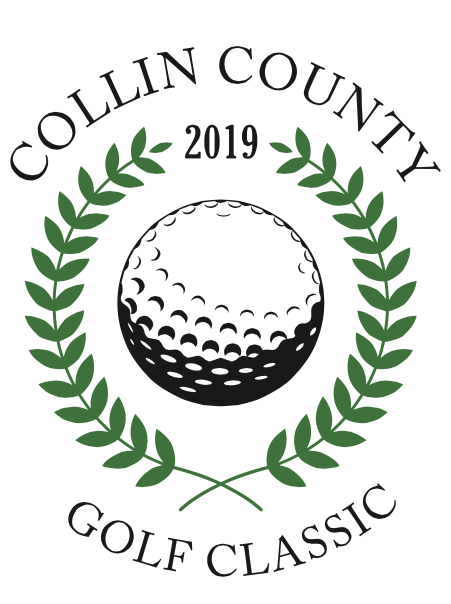 The Collin County Golf Classic presented by Plano Profile magazine will take place on Friday March 22, 2019 and will be celebrated at a local hidden golfing gem: Heritage Ranch Golf & Country Club in Fairview. The Collin County Golf Classic is hosted in partnership with the Junior League of Collin County, with a portion of proceeds being donated back to this charitable organization whose mission is to promote volunteerism, develop the potential of women, and improve the community through the effective action and leadership of trained volunteers. 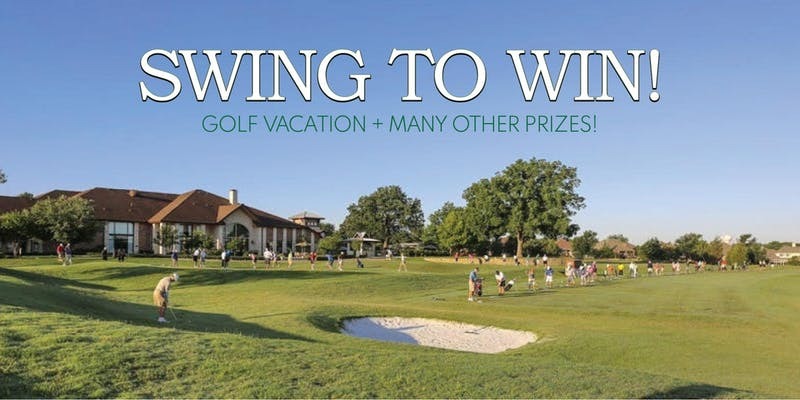 We invite you for a fun afternoon of golf and good times that in addition to the 18-hole shotgun tournament will include surprise pop-up competitions, plenty of food and adult beverages and close with an awards ceremony and dinner. 465 Scenic Ranch Circle, Fairview. 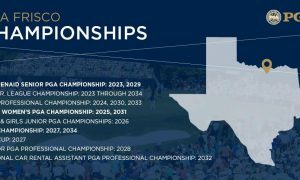 For more information or for sponsorship opportunities please contact [email protected] or 972.769.7272. Located on the east coast of the Dominican Republic, Casa de Campo is touted as “the Caribbean’s most complete resort” for good reason. Spread across 10,000 acres, this tropical paradise boasts a secluded beach, a marina, a hotel, private residences, world-class dining, shopping and also encompasses an international airport and a cruise ship port. Sporting options include deep-sea fishing, tennis, water sports, shooting, polo and golf: Casa de Campo is home to five Pete Dye designed golf course. There’s even a replica of a 16th century Mediterranean village, Altos de Chavón which boasts a magnificent open air amphitheater. 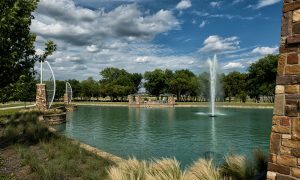 Since its inauguration by Frank Sinatra in 1982, the amphitheater has hosted international greats such as Jennifer Lopez, Elton John, Sting and Andrea Bocelli. Click here to keep reading about Casa de Campo in the Dominican Republic.